If you would like advice on how to look after fine hair, you are not alone. With over 35 years in the salon business, we have worked with lots of clients who have fine hair. Whilst we believe in taking an individual approach, many common questions come up in our client consultations. From the best products for fine hair to tips on how to style for volume to choosing the best cut. Have you got a question about how to look after fine hair? 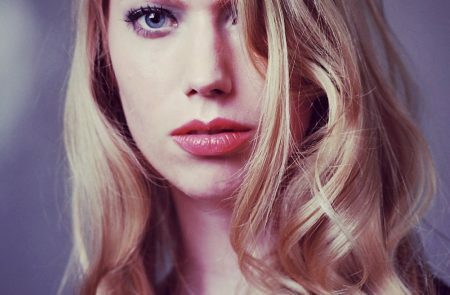 We’ve compiled a list of common questions, sharing our salon know-how, for everything you need to know about how to look after fine hair. How often should you shampoo fine hair? There’s a lot of noise out there about how often you should wash your hair. You may have heard that it’s bad to wash your hair daily because it strips the hair of its natural oils. We don’t agree. Over the years of washing many different heads of hair, our experience tells us that the frequency really depends on the individual. Every hair follicle has an oil gland attached to it and people with fine hair tend to have more hairs making fine hair types more prone to oiliness. If your hair is prone to oiliness its best to wash your hair more often and if needed, every day. Keeping the scalp clean should be your priority. If your scalp is clean it gives the best environment for healthy hair growth. As a general guide, we’d say most people need to wash their hair 2-3 times a week. However, if you find that your hair looks and feels better by washing every day then go for it. The most important thing is to choose a good quality shampoo that’s gentle on the scalp. Salon Know How: Have you ever noticed how your stylist applies shampoo in the salon? They work the product up with a little water in the palm of their hands before applying to the scalp. That way you get an even spread on the hair and scalp. To get more lather add more water, not more shampoo. Should you use conditioner on fine hair? Yes! We try not to get too shouty about it but we cannot stress this enough. Fine hair needs moisture too. When hair is too dry, some common problems occur. Hair becomes prone to breakage, tangling and fly-aways. The only way to combat this is by keeping hair hydrated. The best way to keep hair hydrated is with regular conditioning. Having said that we understand why fine hair types might want to skip the conditioner. A lot of mass market conditioners contain silicones. Silicone is a type of plastic that coats the hair and gives it a slippery feel. It gives the hair the feeling of being hydrated without actually giving any moisture to the hair. This coating can be heavy on the hair, particularly if it’s fine. If conditioner is making your fine hair flat, choose a product that is more suited to your hair type. We use pro-vitamin b5 in our natural conditioners. That’s because it’s one of the few ingredients that can penetrate the outer layer of the cuticle and moisturise right to the core of the hair. When hair is moisturised, it plumps out the cuticle making hair feel and look fuller with more body. For fine hair, apply conditioner to the ends of the hair and mid-lengths of the hair. Avoid the roots. Work the product up in the palm of your hands before you apply. With fine hair, in particular, it’s important to get an even spread of conditioner. You don’t want to apply too much product to one area. Salon Know How: After shampooing, always gently squeeze the excess water out of your hair before you apply conditioner. Conditioner slides off excessively wet hair. Should I comb conditioner through my hair? Hair is most vulnerable when it’s wet so it’s best to avoid combing if you can. We recommend using a good detangling conditioner such as Revive and Shine Conditioner. After shampooing, squeeze out the water with a small towel and apply conditioner to the ends of mid-lengths of the hair. Gently use your fingers to work the product into the hair but don’t worry about trying to get rid of the knots and tangles. This is the job of your conditioner. Leave for anything from 30 seconds to a couple of minutes and rinse. As you rinse, Revive and Shine Conditioner will leave your hair tangle-free. How do you stop fine hair from tangling? Keep the cuticle smooth and reduce breakage with regular conditioning and a weekly hair mask. Squeeze don’t rub when you towel-dry your hair. Sleeping on cotton pillows can cause hair to become matted. Choose a silk or satin pillowcase to reduce the tangles. Use a heat protector before styling to reduce heat damage and breakage. Our multitasking Styling Mist for Natural Hold and Volume detangles, offers heat protection and contains Keratin and Argan oil to treat split ends. How do you prevent flyaways? Choose a cooler setting on your hairdryer. 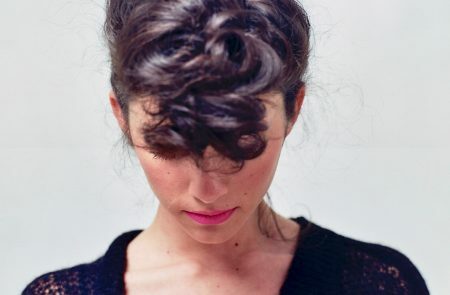 It’s kinder to hair and will help prevent fly-aways in fine hair. 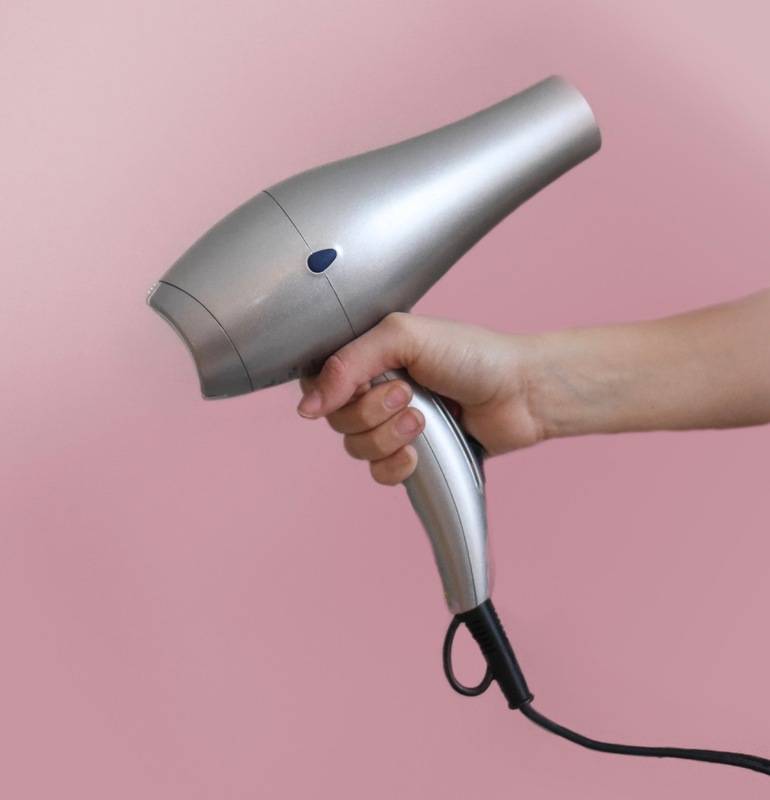 Turn down the heat on your hairdryer to avoid excessive heat on your hair. Excess heat can cause static helping fly-aways to flourish. So opting for a cool setting on your hairdryer may slow down drying time but it will give you a better finish. Help is at hand with Styling Mist for Natural Hold and Volume as it speeds up drying time even on a cooler setting and contains Honey to reduce static. Whilst you’re at it turn down the heat in the shower. Try not to wash your hair in hot water. Opt for a warm temperature that’s better for your hair, scalp and your skin too! What’s the best hairstyle for fine hair? 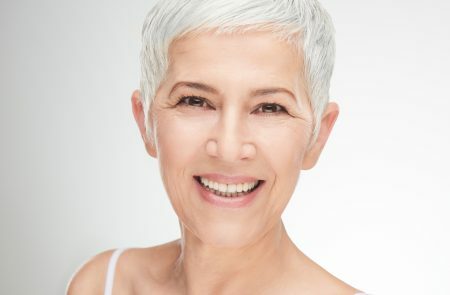 Short and mid-length styles generally give more options for fine hair. This doesn’t mean you have to go for boyish cuts or pixie crops if that’s not your thing. Bob variations are a good option. The main thing is that hair should be well-cut and balanced. Shorter and mid-length cuts can be textured to give weight to the hair helping you maximise body and movement when you style at home. Are layers good for fine hair? Layers can be a good option for fine hair but not in all cases. Layers are used to give weight to the hair. 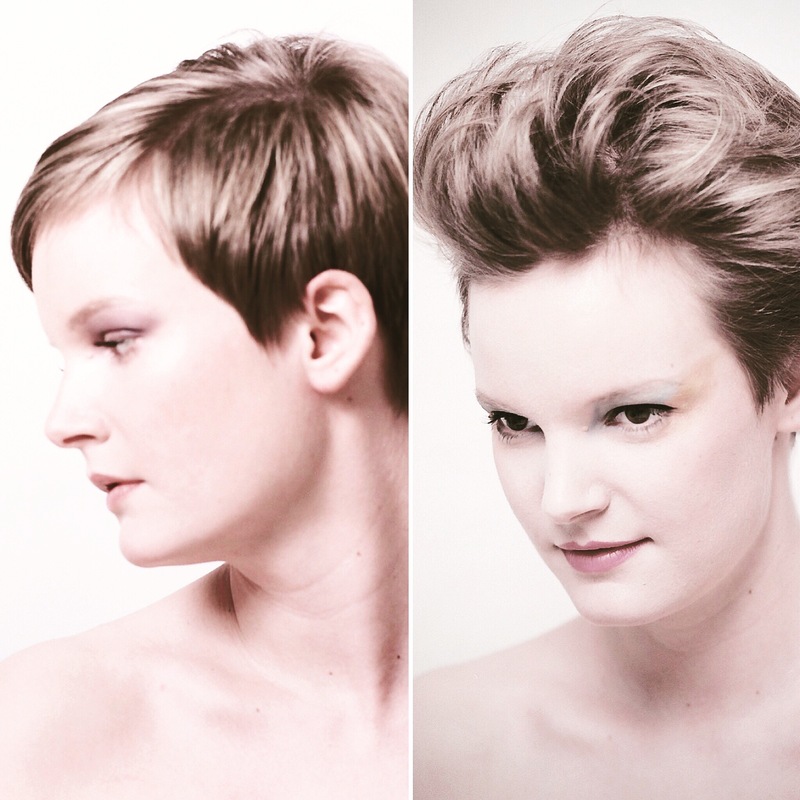 When hair is well cut and balanced the layers can be used to create movement and body. However, you have to be careful, layers don’t work well in all cases. If hair is long or not properly balanced, it’s possible to take too much weight out of the ends. This can leave hair wispy at the ends, making it fly-away and if hair is too thin at the ends it may curl up. Our advice? Talk to your stylist about the best options for your hair. Are short hairstyles better for fine hair? If you want texture and movement in the hair, short hairstyles are more versatile for fine hair. Well-cut and balanced short hairstyles are easier to style at home. When considering which short hairstyle is best for your hair, think about the hairline and the growth pattern of the hair. 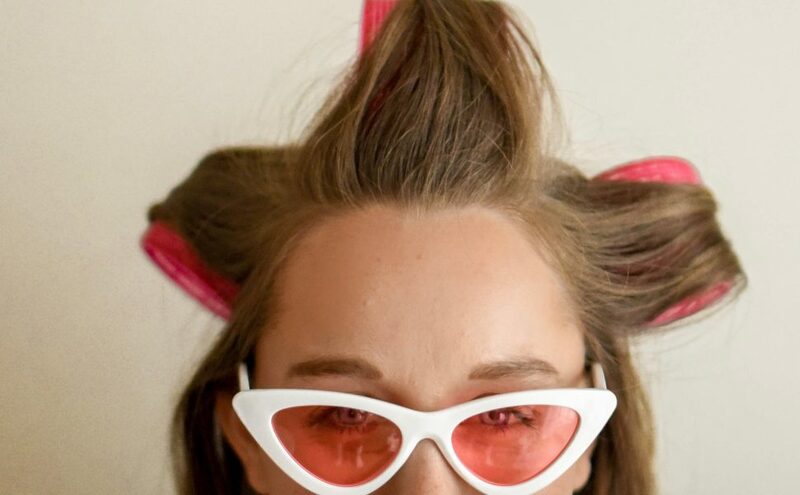 For example, if you’ve got a cowlick at the front of your hair, this can be used to your advantage to create volume at the front of the hair. The hairline at the back of the neck is also important. If hair grows in an upwards direction at the back of the neck, it can lift, meaning it won’t lie flat. This can make a difference in the type of style you go for. Our advice is to work with what you’ve got. Enhance what you’ve got, don’t fight it. Will dying my hair make it look thicker? Yes, having your fine hair coloured can make it look thicker. When you colour your hair the cuticle swells making it look thicker. However, over-processing hair care can lead to breakage. To ensure you get the best results, we recommend getting colour done professionally at a salon and make sure you have a consultation beforehand. When taking care of colour-treated hair it’s important to keep it well hydrated. Treating your hair to a weekly hair mask will help to maintain hydration in colour-treated hair. Talk to your stylist about the best options for you and how to look after fine hair that’s been colour-treated. This is the same haircut in both photos. Our Creative Director prepped the model’s fine hair in the second photo with Styling Mist for Natural Hold and Volume, before drying hair upside down, using fingers to create root lift. A couple of small Velcro rollers have been used to create lift and wave. Extra volume was created by using a fine tooth comb to backcomb hair. Which brush is best for styling fine hair? We recommend the Denman hairbrush or the vent hairbrush for creating body and volume in fine hair. Our Creative Director loves the versatility of the Denman hairbrush. It comes in different sizes which means you can use a small brush to create gentle movement or a larger brush to help you create bigger volume and waves. Check out our blog Salon Know-How: The Denman Hairbrush for tips on how to work with this hairstyling essential. How can I give my hair more volume? We have some favourite tools and techniques for creating volume. There’s nothing new here. These are just tried and tested salon techniques that work. When it comes to getting volume in fine hair, there are four items we recommend for your hair care kit bag. The Velcro roller, the Denman or vent hairbrush, the fine tooth comb and a good volumizer. Anyone of these styling tools can help you to create volume. We’ve shared some examples below of how you can use them. Create volume in fine hair with Velcro rollers. Prep the hair – shampoo, condition and rinse. Squeeze out excess water with a towel spritz with a volumizer. Blow dry, being careful not to over-dry the hair. They come in various sizes so they are great for different hair lengths and creating different looks. Four Velcro rollers should be plenty. Use two at the crown and one at each side. Give the hair a quick blast with the hairdryer, leave to cool and remove the rollers. You can use your fingers to gently push the hair in place. For long, fine hair, try the Denman hairbrush to give hair more volume. Take a section of hair where you want to create volume, place the Denman brush a the end of the hair and roll down to the roots. Give the hair a quick blast with the hairdryer, leave to cool and gently remove the brush. For short, fine hair, try a fine tooth comb to give hair more volume. Take a fine tooth comb and gently back-comb wherever you want to create lift. Avoid going right down to the roots. You should position the comb about half an inch away. The trick is to back-comb in small sections and be as gentle as possible. How can I blow dry my hair to make it look thicker? Shampoo, condition and rinse to prep the hair. Blot out as much excess water as possible with a towel. Hair should be damp, not soaking wet. A common error when blow drying hair is to leave too much water in the hair. This can lead to over-drying, making hair fly-away. Spritz a good volumizer on towel-dried hair, turn your head upside down and give hair a blast with the hairdryer. The aim is to dry hair from underneath. Use your fingers to gently lift the roots. This is what we call a rough drying technique but it should be anything but. Once the hair is dry underneath, you can use your fingers or a brush to finish the style. Don’t be too heavy-handed at this point. You don’t want to flatten the lift you’ve created. A light touch is what’s needed. How do I get volume in the front of my hair? Use a Denman brush, a fine tooth comb or a Velcro roller to create lift at the roots. See our Styling for Volume tips above. Forget centre partings – they leave fine hair looking flat. Instead, create a deep parting left or right and flip the hair over for instant volume. Put hair in a bun and sleep in it overnight. Blow-dry upside down (see above). If you have a fringe, pop in a couple of small Velcro rollers when hair is still warm after you’ve blow dried it. Leave to cool and gently remove the rollers. Which is the best shampoo for fine hair? The best shampoo for fine hair is one that creates volume. That may sound obvious but it’s important to avoid shampoos that contain heavy ingredients. For example, silicone coats the hair, making it flat. Instead, look for ingredients with that give the hair moisture. Our Revive and Shine Shampoo contains volume-boosting Baobab. Partnered with pro-vitamin b5 this shampoo formulation gets moisture right to the core of the hair. When the cuticle is swollen with moisture it makes hair look thicker and fuller. After rinsing shampoo from your hair, it shouldn’t leave any residue. Residue on fine hair will make it flat so choosing more natural products that nourish the hair is a great way of giving body and volume to fine hair. What’s the best conditioner for fine hair? When choosing the best conditioner for fine hair you should be looking for a lightweight formulation. Fine hair needs moisture and the best conditioner should be nourishing enough to give the hair hydration whilst easily rinsing from the hair. No residue here thanks! Choose Revive and Shine Conditioner for its lightweight conditioning, zero residue, detangling and volume. You’ll notice the difference when you style your hair. Are hair masks good for fine hair? This is an important question when thinking about how to look after fine hair. In our experience, many clients believe that hair masks are not for them. Often this is because they have had bad experiences with heavy hair masks. If you’ve found that heavy hair mask has made your fine hair flat, you might not be convinced. But finding the best hair mask for fine hair is not as tricky as you might think. We believe that the best way to boost volume in fine hair is to hydrate the cuticle. Hydration makes the cuticle swell making it look thicker. When the cuticle is hydrated it lays flat to reduce tangling and fly-aways. Use a hair mask weekly. The best way to achieve hydrated hair is to use a hair mask once a week, every week. So when thinking about how to look after fine hair, products shouldn’t be too heavy. We recommend avoiding anything that contains silicone. Silicone, a plastic that coats the hair, can leave fine hair flat. Avoid heavy oils for the same reason. When developing our hair mask many of our customers had fine hair. So we wanted a hair mask that would hydrate without leaving any residue. But we are pretty demanding so it had to do more. As a salon developed, natural hair care range, we wanted salon professional results. A hair mask should hydrate fine hair, leave it with body, reduce fly-aways and detangle. Make a good quality hair mask part of your hair care routine and you will see and feel the difference in your hair. What styling products should I use for fine hair? The best styling products for fine hair are lightweight. Therefore when thinking about styling and how to look after fine hair its best to avoid heavy products such as waxes, heavy oils, industrial-strength hairsprays! Styling products aren’t what they used to be and, as with most things, they have moved on. What that means is that you can now find lightweight styling to give the hair body without weighing it down. When it comes to styling products our mantra is ‘less is more’. That’s why we’ve chosen a light mist application for our styling range. Because it’s not just about what you put on your hair but how you put it on your hair. Here’s what we mean. When applying styling products, particularly to fine hair, it’s easy to overload the hair. That’s why our styling range has a super-fine mist pump that enables you to get an even spread on the hair and the lightness of application is perfect for fine hair types. We believe that styling products should give control without restricting the natural movement of the hair. That’s why we developed our Styling Mist for Natural Hold and Volume. Perfect for fine hair, it delivers a natural looking finish with volume, whilst leaving the hair with plenty of movement. For most fine hair types, shampooing 2-3 times a week is fine. If you need to shampoo more often or every day simply choose a gentle shampoo. Don’t skip the conditioner! Lightweight and detangling conditioners are best for fine hair. Be gentle with wet hair. Squeeze don’t rub with your towel to dry hair. Reduce tangling and static by sleeping on a silk or satin pillow, turn down the heat on your hairdryer and wash hair in warm, not hot water. Use a hair mask. The best hair mask for fine hair will hydrate, give it body, detangle and reduce static. Choose lightweight styling products. Avoid heavy oils, waxes and hairsprays.